Additive manufacturing has come a long way since the days of rapid prototyping. Since its emergence in the 1980s, 3D printing technologies have found innovative applications and are helping to reduce production costs and lead times, improve product performance and make mass customisation viable at scale. Nevertheless, AM faces key challenges when it comes to large-scale production. In this article, we outline the 8 challenges the industry faces, and the steps being taken to address them. However, the fact remains that upfront investment in the technology – from hardware to materials and potentially post-processing equipment – will be required. For those looking to metal 3D printing, for example, metal AM machines can easily cost upwards of $100,000, not including the costs of materials and the post-processing equipment. However, there are a number of steps that can and are already being taken to address this. One low barrier to entry is to enlist the services of 3D printing service bureaus and leveraging their expertise to identify the most pertinent 3D printing applications for your business. Alongside identifying the areas where 3D printing will be an asset, manufacturers should also evaluate costs to understand whether 3D printing or traditional methods (injection moulding, CNC machining etc.) would be best suited for a particular application. On the flip side, as the industry matures, lower machine, materials and operating costs are expected. These developments will, in time, facilitate AM’s transition towards series production. To support the high volumes (and short lead times) needed for serial production, additive manufacturing workflows have to be both fast and scalable. Currently, most AM systems lack the speed required for mass production, particularly when compared to conventional manufacturing methods. While AM hardware manufacturers are developing faster systems to address this, print time per part is only one piece of the puzzle. All pre- and post-processing steps also determine potential throughput and must also be taken into account. Post-processing, for example, is a key bottleneck. Almost all 3D-printed parts will require some type of post-processing, which accounts for 30-60% of the overall production process. Finding ways to automate the post-processing stage will be necessary – and companies like PostProcess Technologies are already proposing post-processing solutions. Improving AM build times, automating each stage of the AM workflow and minimising post-processing steps are, therefore, crucial steps needed to scale AM to larger volume operations. The need for repeatability when it comes to series production can’t be understated. However, consistently producing reliable parts is an ongoing challenge AM faces. Using the same settings, for example, can still lead to differences in producing the same part. The list of factors that can impact the quality of a final part is lengthy and includes: part orientation within the build platform, machine calibration, material quality and how parts are removed from a build. All of the process variables involved in the process must be strictly defined and controlled to enable a successful print each and every time, which is no small feat. The good news is that the industry is taking steps to enable predictive and reproducible additive manufacturing. For example, AM system manufacturers are developing new machines equipped with in-process monitoring and closed-loop feedback control systems to enable greater control over the manufacturing process. Materials development has come a long way since the proprietary filaments of old. Currently, 3D printing technologies can be used with a broad range of materials including metals, ceramics, polymers and composites. And yet, the availability of suitable materials remains one of the biggest barriers to using additive manufacturing as a production method. Material diversity is limited, with only a relatively small set of compatible materials available. One reason for this lies in the proprietary nature of many 3D-printable materials. While making materials proprietary can help a company establish its monopoly, it forces customers to buy their materials directly from their 3D printer manufacturers. Certifying AM materials is the second hurdle. Certification is required to ensure that AM materials meet the same standards as traditional methods, and can be a time-consuming, expensive process. That said, the AM materials market is rapidly evolving, with the vast majority of manufacturers now open to the development of new materials by third parties. Some companies, like Ultimaker and HP, are actively embracing an open-platform approach, enabling collaboration with some of the largest materials suppliers. These developments will, in turn, enable faster materials innovation. In a recent interview with AMFG, Ultimaker President John Kawola says: “In the past, most 3D printing technologies were limited to just a handful of materials, primarily for prototyping. The biggest companies in that space, like 3D Systems, EOS and Stratasys didn’t have hundreds of material scientists on staff — they had a few and developed materials for their individual platforms. Security is increasingly becoming a key concern for companies looking to adopt additive manufacturing. Like other digital Industry 4.0 technologies, 3D printing is vulnerable to security risks and cyber attacks. 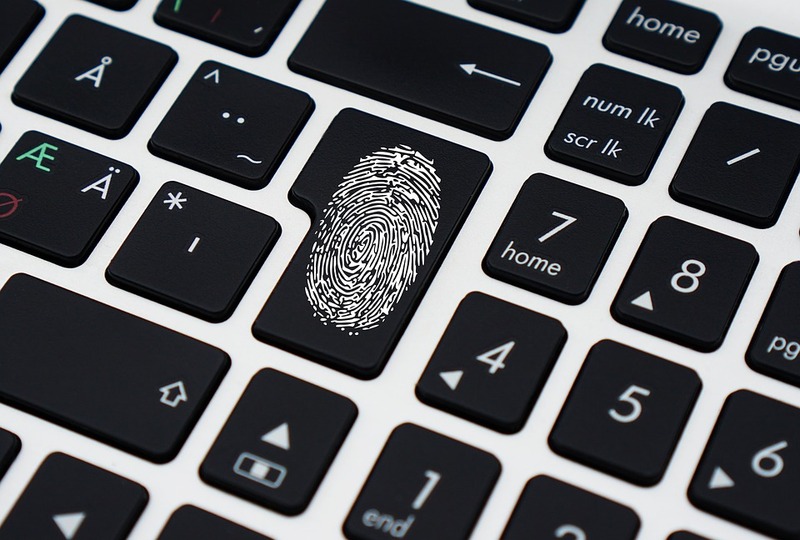 The potential of stolen or tampered data, for example, could compromise a company’s intellectual property. Security will become particularly important as new business models encompassing virtual inventories and decentralised, on-demand production continue to gain traction. Reaching this stage will, however, require the development of tailored solutions to ensure security and IP protection across the entire AM ecosystem. As of now, such solutions are in the early stages of adoption. Companies, like AMFG and LEO Lane, are striking strategic partnerships. Others are filing patents and launching initiatives to adapt security technologies like blockchain for additive manufacturing. Addressing the concerns of securing the digital thread will not only raise the level of confidence in 3D printing as a production technology but also enable greater traceability across the supply chain. The lack of a comprehensive set of standards for additive manufacturing remains one of the key barriers for the technology to go mainstream. In highly regulated industries like aerospace & defence, medical and automotive, 3D-printed parts destined for end use must meet strict requirements. Certification and standardisation will be key to building this confidence and establish robust certification approaches. 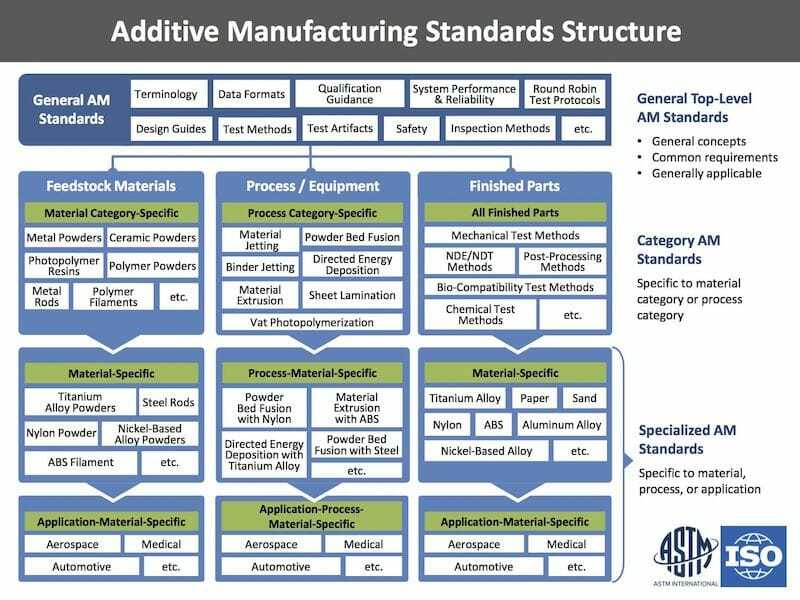 Currently, many of the existing manufacturing guidelines apply only to traditional manufacturing methods, and new standards will need to be developed or adapted for AM. However, the journey towards AM standardisation is a long one. Fortunately, some of the largest Standards Development Organisations, like ISO and ASTM International, have already begun the process of developing industry-wide standards. Thanks to their efforts, there are already more than 25 approved standards with an additional 19 standards under development (as of the end of 2018). ASTM International also invests heavily in AM-focused research projects, looking to bridge the gaps between R&D, standardisation and the broader commercialisation of the industry. Perhaps the most significant barrier to AM adoption is the current skills gap. A 2016 report by Deloitte concludes that nine out of ten manufacturers are struggling to hire workers with the right skills. The skills shortage, then, is one faced by manufacturing as a whole. Advanced technologies like additive manufacturing require a new set of skills. Take design for additive manufacturing (DfAM) as an example: tools like generative design and topology optimisation will require engineers to rethink conventional approaches to design. Other areas include machine maintenance, material handling and post-processing knowledge. Education and training will be the solution to make the transition. Companies must actively invest in educating their workforce, giving employees the opportunity to learn and drive innovation through these advanced technologies. 3D printing is one of the important technologies in establishing “smart factories” . Yet, the reality is that most companies struggle to establish an end-to-end AM workflow management process. One bottleneck lies in using different software packages to go from design to the finished part. This creates a disconnected process, greatly reducing efficiency. Fortunately, there is an increasing number of solutions to address this bottleneck. For example, workflow automation software has emerged to address the problems of disconnected workflow processes. Using one platform to manage the entire AM ecosystem, from requests to post-production control, allows for both the automation of manual, routine tasks as well as greater traceability at every stage of the AM process. Additive manufacturing has seen rapid development in recent years, and 2019 looks to be no exception. However, while progress is being made to industrialise AM, there is still some way to go before the technology can viably be used as a manufacturing method for end parts at scale. 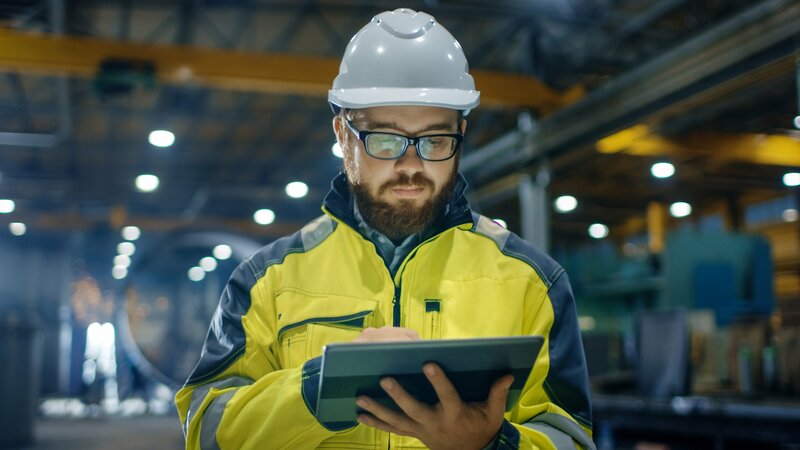 Costs will need to come down, greater focus put on training and companies will need to find the value of the technology for their applications. As the technology and industry mature and these challenges addressed, the rate of AM adoption will only increase.